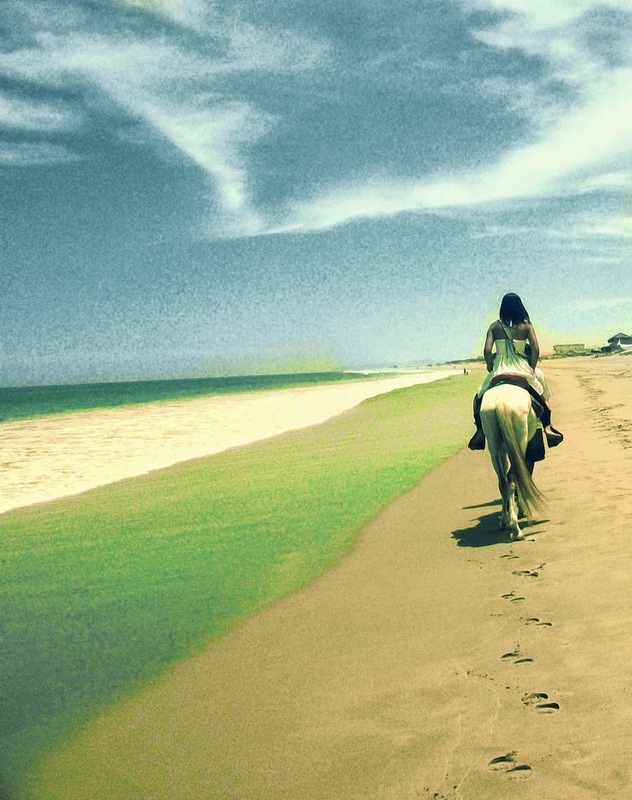 Trujillo is a city in coastal northwestern Peru and the capital of La Libertad Region. It is the centre of the second most populous metropolitan area of Peru and most populous city of the North macroregion of the country. It is located on the banks of the Moche River, near its mouth at the Pacific Ocean, in the Moche Valley. This was a site of the great prehistoric Moche and Chimu cultures before the Inca conquest. expansion. 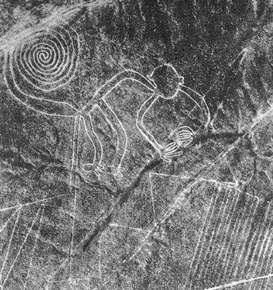 The Nazca Lines /ˈnæzkə/ are a series of ancient geoglyphs located in the Nazca Desert in southern Peru. They were designated as a UNESCO World Heritage Site in 1994. 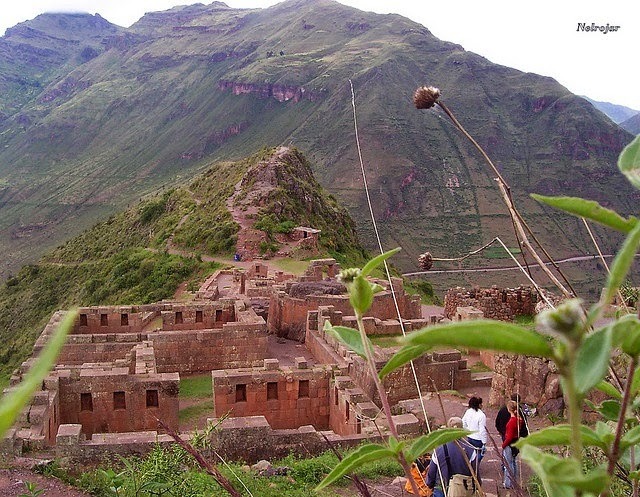 The high, arid plateau stretches more than 80 kilometres (50 mi) between the towns of Nazca and Palpa on the Pampas de Jumana about 400 km south of Lima. Although some local geoglyphs resemble Paracas motifs, scholars believe the Nazca Lines were created by the Nazca culture between 400 and 650 AD. The hundreds of individual figures range in complexity from simple lines to stylized hummingbirds, spiders, monkeys, fish, sharks, orcas, and lizards. Iquitos (Listeni/ɪkɪtɵs/) is the largest city in the Peruvian rainforest and the fifth-largest city of Peru. 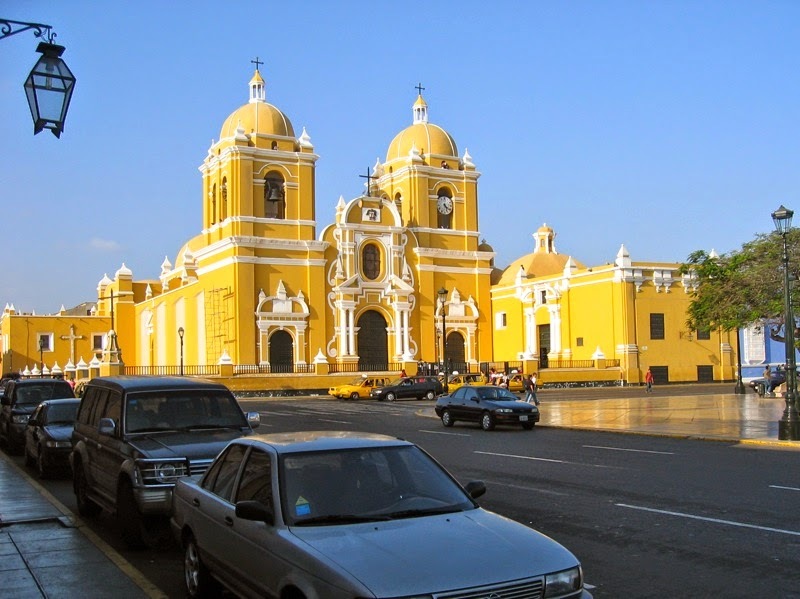 It is also the capital city of the Loreto Region and Maynas Province. Located in the Amazon Basin, the city is along the Amazon, Nanay and Itaya rivers. Its name in Iquito language translates to the people. 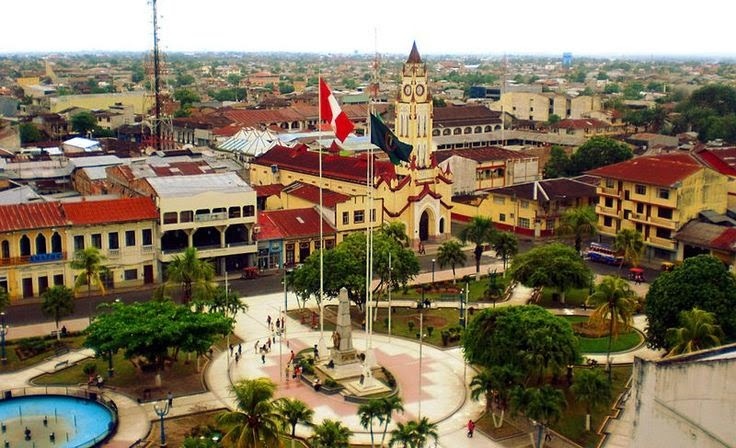 The city proper with its four districts has a population of 422,055; 462,783 live within the Iquitos Metropolitan Area, making it in the sixth-largest metropolitan area of the country. The official city nickname is Capital of the Peruvian Amazon. Lima /ˈliːmə/ is the capital and the largest city of Peru. It is located in the valleys of the Chillón, Rímac and Lurín rivers, in the central coastal part of the country, overlooking the Pacific Ocean. Together with the seaport of Callao, it forms a contiguous urban area known as the Lima Metropolitan Area. 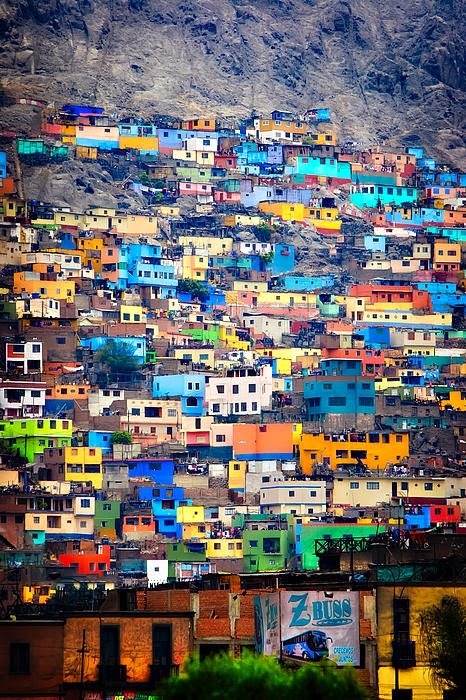 With a population approaching 9 million, Lima is the most populous metropolitan area of Peru, and the fifth largest city in the Americas (as defined by "city proper").